How do babies look at faces? When adults look at other people’s faces, we look mostly at the eyes. 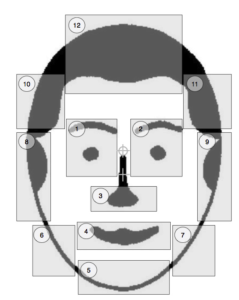 We perceive that person’s characteristics by also looking at other parts of their faces as needed. In this study, we examined which part of the face babies look at, and in what order—and whether this changes with their development.